Dalai Lama Lineage, Tibet History, Reincarnations of the Buddhist Lamas in Dharamsala, Dharamshala !! 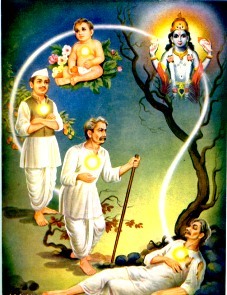 The Living Vedic Reincarnation, 2009 ! Being born as Hindus, we experienced 'faith', 'hope' and 'devotion', as children. In search of our spiritual knowledge and practise, we grew up with the power of several religions and cultures around us. Among our friends, relatives, social gathering and schoolmates, we were guided by a common faith of 'Sharing Gods and Legends. The concept of 're-incarnation', dates back from the day Man was born. With Mankind, developed the Power of the Soul, which was separate from the 'physical world'. While we, in our mortality, cease to exist..the Soul, continues in the form of our 'Karmas' in our previous birth. It is our 'karma' alone, that redefines our lives and the rewards and punishments. In todays life, humans cease to exists as humans. The mantra, to Peace is a powerful tool, which can be practised, in our day to day living and should always, start from our 'Homes'. A perfect harmony of Body, Mind and Soul is a 'perfect' way of living a life of Love and Compassion !! The Dalai Lama is regarded by Tibetans as one of a succession of (so far) 14 incarnations of the Buddha of compassion, Chenrezig ("the Seeing-Eye" Lord), who long has been considered to be the patron deity of Tibet. 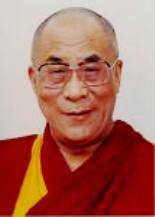 Here is a brief biography of the Thirteen Dalai Lamas who have come before Tenzin Gyatso.. He was one of the three great disciples (and perhaps the nephew) of Tsongkapa, the founder of the Gaden monastery near Lhasa. 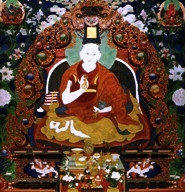 Tsongkapa was the founder of the Gelugpa Sect (Yellow Hat) order of Buddhism that stressed discipline and austerity, imposed celibacy, and prohibited alcohol consumption. He developed it further and the Gelugpas trace their spiritual lineage to the great teacher of Indian Buddhism, the saint 'Atisha', who visited Tibet from 1042 to 1054. 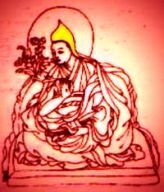 Gedun Drub was an abbot of Gaden Monastery, and founded the TashiLhumpo monastery near Xigatse, west of Lhasa, a move that further solidified the Gelugpa. He also promoted the system of reincarnated lamas, which assured the smooth transition of spiritual leaders from one generation to the next. He was proclaimed the reincarnation of Gedun Drub as a young boy. Legend has it that soon after he learned to speak, he told his parents his name was Pema Dorje, the birth name of the first Dalai Lama. When he was four, he reportedly told his parents he wished to live in the TashiLhumpo Monastery to be with his monks. 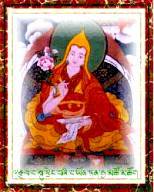 He was a renowned scholar and composer of mystical poetry, who traveled widely to extend Gelugpa influence, and became abbot of the largest Gelugpa, Drepung Monastery, which was patronizing this Buddhist lineage. 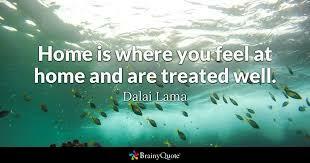 He was the first to take the title Dalai Lama. The name comes from a meeting between Sonam Gyatso and the Mongol chieftain Altan Khan, whom Sonam Gyatso visited on his extensive travels. 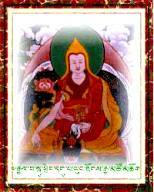 As the two exchanged complimentary titles Sonam Gyatso called Altan Khan "King of the Turning Wheel and Wisdom." 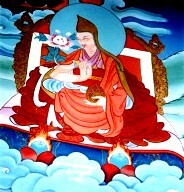 Altan Khan referred to Sonam Gyatso as "All-Knowing Vajra-Holder". (Dalai is Mongolian for "ocean." Lama is Tibetan for "guru" or "teacher. " The title is often translated "Ocean of Wisdom"). 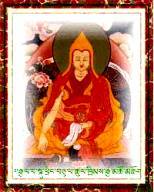 Sonam Gyatso's predecessors were named the first and second in this lineage posthumously. Sonam Gyatso is credited with spreading Gelugpa influence into eastern Tibet. He was the great grandson of Altan Khan of Mongolia (who coined the title "Dalai Lama"). The only non-Tibetan in this Buddhist lineage, he was first recognized as the reincarnation of Sonam Gyatso.This period was marked by constant strife in Tibet. He is one of only two in the lineage, to have the word "Great" added to his title. 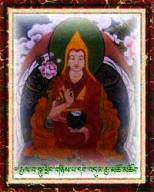 He forged an alliance with the powerful Mongol military leader 'Gushri Khan' to unify Tibet under the Gelugpa order. Lobsang Gyatso enjoyed a passionate following among the Mongols. He instituted rules for monastic organization, studies, rituals, and monks' behavior that remain in effect today, and began construction of the great Potala palace in Lhasa, which is one of the wonders of the world. He also wrote histories, poetry, and work based on visionary experiences. Lozang Gyatso visited the emperor of the Chinese Qing Dynasty, after which the relationship between emperors and Dalai Lamas was generally regarded as one between patron and priest. Lozang Gyatso died in 1682. Because of the delay in announcing the Fifth Dalai Lama's death, Tsangyang Gyatso was well into his teens before he was recognized as the Sixth Dalai Lama. He is considered to be the most unconventional. He dressed as a layperson, drank wine, enjoyed the company of women and composed love songs that are still popular in Tibet. He died while leaving the country. 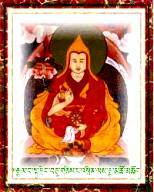 Seventh in the lineage, he was installed in 1720, as the Seventh Kelsang Gyatso. A scholar and poet, he preferred to let ministers attend to the affairs of Tibet. It was during his reign that an ordinance formulated by the Chinese government gave him rule over Tibet. During Jhamphel Gyatso's reign, Tibet fought wars with the Gurkhas of Nepal, and received a delegation from England, which was interested in Tibet because of its strategic location in relation to British India, China, and Czarist Russia. During Lungtok Gyatso's brief reign, significant shifts of power began to occur in the region. The British continued to show an interest, but could make no inroads. 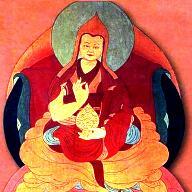 Lungtok Gyatso died at age 11 in the Potala Palace. The subsequent three HHDls also died young. 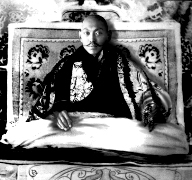 Like his predecessor, Tsultrim Gyatso died suddenly in Potala Palace before assuming temporal power. During his brief life, Tibet continued to isolate itself, while keeping a suspicious eye on its borders. He was the third in a series who died at an early age. During Khendrup Gyatso's life, China's influence in Tibet weakened further because of the Opium War and the Taiping Rebellion. Tibet's struggles continued with Nepal and Ladakh to the west. His reign was a time of severe unrest among Tibet's neighbours. The weaker Qing dynasty was unable to provide military support because of its own battles. At the same time, the British intensified pressure on the Tibetan borders, from their colonial bastion in India. He is the he second of the "Great" Lama(after the Fifth), so designated because he held Tibet intact through tumultuous times. He fled to India. He appealed to the British to help prevent China from turning Tibet into a Chinese state, but Britain remained neutral. Thupten Gyatso instituted modernizations in Tibet, such as a postal system, paper currency, roads, and he built the country's first power station. He is credited with revitalizing the institution of this lineage, through his forceful character and political insight, and with trying to end Tibet's centuries of isolation. Still, many of his reforms and initiatives met with crippling resistance from the conservative monastic establishment. 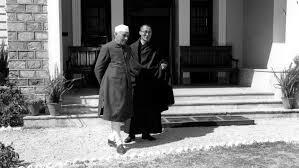 His Holiness with the First PM of India..Pandit Jawahar Lal Nehru.. 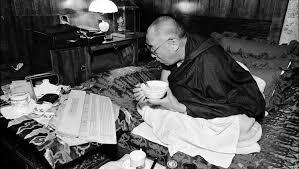 The 14th Dalai Lama of Tibet in his home in Dharamshala India..! Dalai Lama...Reincarnation..Life of Dalai Lama..Click Here !